We're here to help! Get the answers to your questions about everything including phones, plans, billing, coverage, long distance, roaming and more. Looking for Home Internet support? You’ve got questions, we’ve got answers. Take a look at the most frequently asked questions by our Members or pick a topic over on the left. Are there any charges to change my plan? Here's the deal: You got a discount off the price of your phone based on the plan level (Silver, Gold or Platinum) that you committed to when you hooked up or upgraded. That means, if you want to switch from a higher plan level to a lower one (say, from Platinum to Silver) then there might be a Plan Level Change Fee. The fee would be to make up for the difference between the original discount you got on your phone and the discount you would be able to get at the new plan level you want to move to. When and how can I upgrade to a new phone? Head to virginmobile.ca/phoneupgrade and login to check your eligibility. You can also check your eligibility right on your phone by downloading and opening the My Account app. You can upgrade your phone at any time, just by paying off your Virgin Mobile SuperTab™ balance. When you’re ready for a new phone, head to any Virgin Mobile store and we’ll hook you up right away. You can upgrade your phone at any time by paying the full retail price of a new one, just pop into any Virgin Mobile store to see our hot phones. How can I update my Buddy numbers? Click on My Service at the top of the page. Scroll down to Manage Feature Settings. Click Change next to the My Buddies feature. I’m going over my plan usage limit. What can I do? We have tools to help you track your usage, so you can see if and when you're going to go over your limit. If you're going over a lot, you may want to switch to an awesome plan that gives you the room you need. A credit limit is a pre-set spending limit for your services that’s applied to your account. It’s decided and agreed on at your first credit check when you hooked up with us. How much will I be charged if I use my phone outside of Canada? If you travel outside of Canada you’ll be charged the rates of the country you are in for calling, texting or using data. Check out the US roaming rates and international roaming rates. You can also grab a roaming add-on feature to reduce charges and save cash. TIP: If you’re using Wi-Fi on your phone when travelling, make sure to turn off data roaming! When and how will I get my security deposit back? Your Credit Limit will be lifted and security deposit returned after 6 months of on-time payments in a row. The security deposit is usually added back to your account as a credit. If you want to get a cheque for it, then wait to get a text message from us saying that your Credit Limits has been taken off and then give Care a shout to ask for a cheque. Before the cheque is sent out, the deposit will be used to pay any balance owing on your account. Also make sure we have the most up-to-date address for you since that’s where we’ll be mailing the cheque to! Why are collection calls continuing after I’ve paid my bill? It can take up to 3 days for collection calls to stop after a payment is received. My bill date has passed, so where is my invoice? We need a couple of days to pull all of the details together and process your monthly bill. Generally, you’ll get your bill in about 9 business days. After that you can see it online. Once it’s posted online you still have 21 days to pay it, so there’s lots of time to make sure you get that payment in without any late payment fees. I’ve made a payment, why isn’t it posted to My Account yet? Payments through your bank can take a bit longer and your bank is the one responsible for processing them. We should get the payment in about 3 to 10 business days. Hang tight! 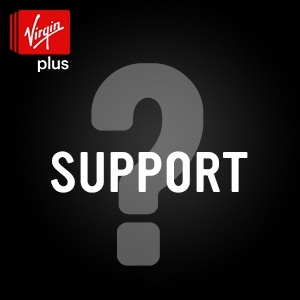 New to Virgin Mobile? Start here. On the Virgin Mobile SuperTab? Your bill won’t pay itself, but our app makes it almost that easy.